The food, staff, the operation and accommodation is first class. I would give it a 6! 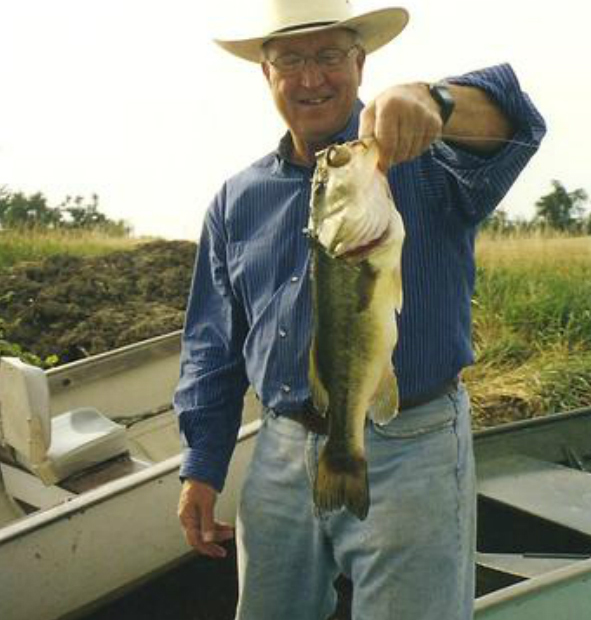 We’ll provide everything you need to fish at one of the fourteen stock dams located on the ranch, many of them known for their excellent fishing. Many guests have enjoyed catching Master Angler sized largemouth bass in addition to perch, northern pike, catfish, and a variety of pan fish. Fishing excursions on the Missouri River are also available. These guided fishing trips include a boat and tackle for 3-4 people per boat. Fishing licenses are required and additional fees apply (subject to availability). We offer a wide variety of apparel for purchase. From fleece vests and outerwear, to hats and accessories, to orange safety vests and hunting gear — we can outfit you from head to toe during your stay with us. In addition, we sell hunting licenses and offer a wide assortment of shells in varying sizes. 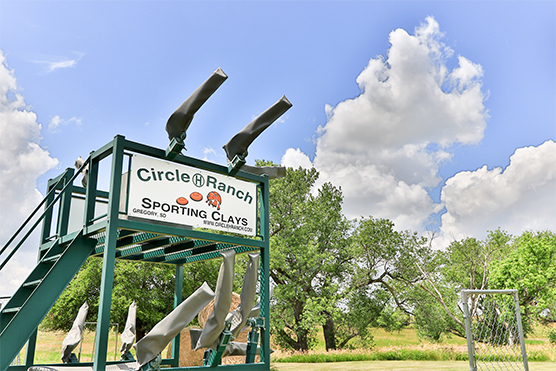 For 25 years, we have offered a challenging 13-station NRA sporting clays course at the ranch that provides excellent opportunity for quality shooting. We have exceptional shooters on staff who will give small-group or one-on-one instruction, available for an additional fee upon advance request. We also have a two-person flurry that will improve your instinctive wing shooting. This is a fully automated machine that will throw a target at different elevations over a 170-degree field every one and a half seconds. In addition to hunting, fishing, and shooting sports, Circle H Ranch offers a variety of other activities in the nation’s most magnificent prairie landscapes. A fire pit is located near the lodge for evening campfires and get-togethers. Our horseshoe pit has also welcomed many friendly competitions among friends over the years. Whatever you choose to do, you’re certain to create lasting memories and build camaraderie as with nothing else you’ve ever done. Some of the above ideas are available on-site, while others we can help coordinate from other nearby locations – just let us know your interest. Presented by Hegg Companies, Inc.